A dog can be an excellent hiking companion, but safety is a major concern. But you cannot let your faithful companion walk around without a leash in the wilderness. This is why you need to be on the lookout for the best dog harness while on a hiking trip. 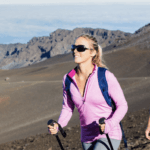 A regular collar and leash will not be effective when you are out for hiking. The hiking harnesses need to be relatively less constricting and allow easier breathing for your pet. At the same time, you should have sufficient room to pull at your dog’s collar to keep them out of trouble on a sustained basis. Additionally, these dog harnesses for hiking are typically more secure. You must remember that when you are in the mountains, the risk of wild animals attacking your dogs is quite real. These harnesses are generally more flexible. They work equally well, whether you are hiking or on the road. The straps are relatively more comfortable and offer better grip. But given the plethora of options, often the search for the best dog harness can be a major challenge. Given the size and height of your dog, you have to look for varying options. Moreover, the weight and quality of the harness also play an important role. We decided to make the task a lot easier for you. Here is our list of the best options in the market. We have rated these options against a variety of factors to make sure that we present to you some of the best options available. Based on the breed of your canine friend and the trails that you love to go out, you can choose the best options for you. 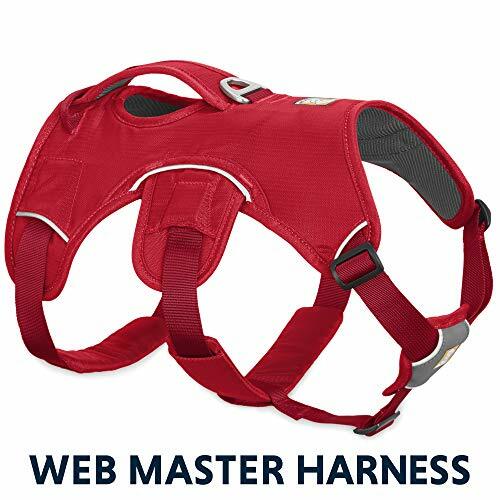 These are also some of the most readily available harnesses, both online as well as offline. 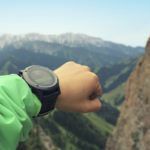 When you are looking for the best dog harness for hiking, this lightweight and sturdy option ranks quite high up the pecking order. It is reliable, secure and ideal for outdoor soirees. The easy on and off mechanism makes it a rather convenient one and adds to the reasons why you would choose it over many others. 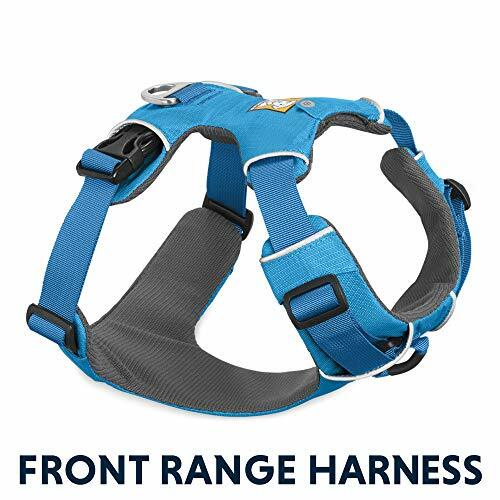 This harness comes equipped with 2 leash attachment points. This is particularly useful as it helps in reinforcing the webbing at the chest. This is what makes it an ideal option for training too. The aluminum ring at the center is V-shaped and gives firmer control without constricting the dog’s activity. There are many other features in this harness that add to your dog’s comfort in a meaningful way. It has foam padded strips spread over the belly and the chest region. This also helps in better load distribution when the dog is running or walking. Even for the person holding the leash, this is a much easier contraption to maneuver. Moreover, the fitting of this harness can be adjusted quite easily. This enables significantly easier motion without constricting or hurting the dog. The easy access and the pockets that can be used for storage are an additional advantage. The reflective fabric makes it appropriate for use at night as well as during the day time without any trouble. It makes for much better visibility even at night. Click here to see the best price. However, some users were not particularly happy with the length of the harness. Though their dogs did not seem uncomfortable immediately, there are worries about potential injury to the shoulder blades in case there is a sudden knee-jerk movement. 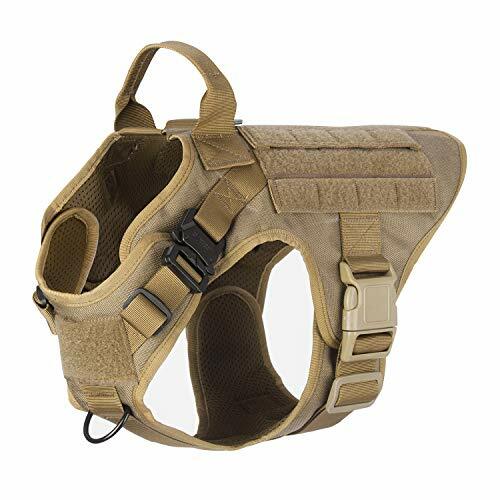 The chest plate comes too far up the throat in case of a few types of dogs making it uncomfortable for them to maneuver when this is on. 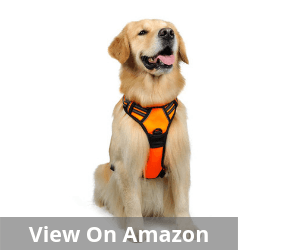 This one also comes equipped with two leash attachment points but what makes it one of the best dog harnesses for hiking is the positioning of these points. While the attachment point is at the back like most other harnesses, there is one at the front too. 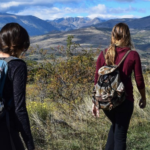 While the back one is great for walking and hiking, it is the front one that helps in appropriate training and also greater control. The harness is also relatively hassle-free. The easy on and off features and the side release buckles prioritizes your dog’s safety over other factors. 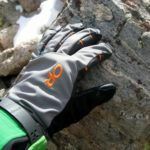 Additionally, these also ensure that there is no risk of choking and rather easy to put on or remove the gear even when your dog is in motion. 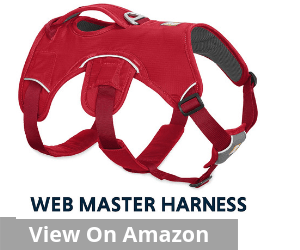 This is essentially a no pull dog harness that is designed for comfort and convenience and allows adequate breathing space and maneuvering opportunity for the dogs. The nylon webbing and the reflective straps also enhance the overall safety features of this leash. The company also offers a complete guarantee of quality with an appropriate refund and replacement policy for greater user convenience. Click here to see the best price. 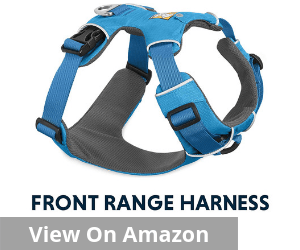 This is another durable option that features prominently in any list of the best dog harness for hiking. Soft padded and made with top grade nylon, it is safe, secure, comfortable and provides maximum comfort and support to your canine companion on any hike. 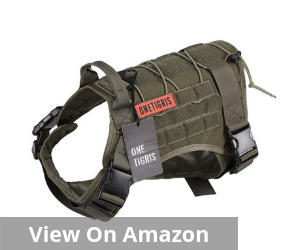 Both sides of this harness have two MOLLE straps along with hoops and loops. That ensures that you can easily attach molle pouch and ID tags without any hassle. The hook and loop panel are stitched in a way that the harness is secure in its place without any discomfort for the dog. It caters to the varying choices and preferences of customers quite brilliantly. This harness is available in a wide range of colors. This makes sure that you can happily combine convenience with choice and color too. Moreover, this is not a one size fits all solution. It comes in three different sizes offering sufficient option for dogs of various height and build. That way, you too can have much better control over your dog while on a hiking trip. Click here to see the best price. The Icefang is undeniably one of the best dog harnesses for a wide range of reasons. Both in terms of designing and safety features, this functional harness has many elements that are worth mentioning. The quick release metal buckle with over 1000lbs proof-load capability is one of the most striking ones. The metal buckle over the dog’s shoulder optimizes load bearing without resulting in any discomfort. Moreover, this harness is stitched in a way that the dog can neither break open or snap off the harness joints. 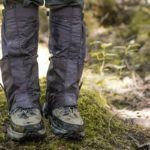 This makes it a rather firm and stable option to hook up your dog during difficult hikes and camping trips. The Velcro patch on the harness is an added advantage and goes a long way in improving the overall strength and security. There is also a separate hook and loop panel at the back and front to help in easy identification of your pet at any point. This is also a no pull variant. The no-pull front clip further enhances the efficiency of this feature. It allows you to control the dog better and train it well to walk beside you. Last but not the least important bit is that it is a 100% no slip option for the dogs. Equipped with this, you can rest assured about your dog’s safety and convenience. Click here to see the best price. This super secure variant is undeniably one of the best dog harnesses for hiking. This too belongs to the Ruffwear stable known for creating great quality products for dog care. This is a super soft padded version that makes both maneuvering and lifting fairly easy for the user as well as the dog. The foam padded straps are known for the lasting comfort that they stand for. Most importantly, it provides adequate support without hindering the movement at all. There is also an appropriate provision for patches and signage for better convenience and user comfort. There are 5 adjustment points to make sure that the fit can be customized as per the dog’s size and health. The two leash points and the anodized V-ring complement the customizable dog harness for greater comfort and fit. Last but not the least important point, this is a kind of product that has been built to last. It is sturdy, safe and secure guaranteeing better safety and comfort every time you leash it around your canine companion. Click here to see the best price. 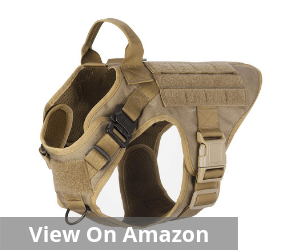 So you can well imagine that there is a variety of factors that you must take into account while deciding on the best dog harness for hiking. Whether you like it or not, I am sure you will not want to go for an ugly harness even if it is the best one for your favorite pet. Therefore, it goes without saying that appearance matters. It does not have to be gold crusted or diamond-laden, but it surely needs to be functional and look pleasing. Often you can use the camouflage print or the solid colored ones to make an impact. Additionally, the appearance can change significantly depending on the season. So when you are choosing a dog harness for hiking, take that in account too. Given the scope and demand, your search for the best dog harness for hiking isn’t going to be easy. You get them in a variety of designs and style. You may want to choose trendy ones, but also check the utility value of the design. Ideally, a happy mix of convenience and innovation will make a design stand out and make it a useful option. Therefore, you must choose the design carefully based on your requirements and the overall trend that may be popular. So it is necessary that you also choose designs that make it easy for your dog to breathe and is not too constricting for them when you hold the leash around the collar. 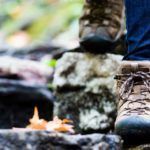 Hiking, no doubt takes a lot more effort than walking. As a result, the pull on the leash will be harder. A proper design will ensure that you are able to address your dog’s comfort and security at the same time without compromising either of these factors in any possible way. This practically goes without saying. You have to look for sturdy options. So check the overall strength of the dog harness that you are deciding on. Carefully consider all the user reviews to identify the best ones. 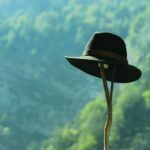 Avoid the flimsy ones even if they look good or appear trendy because when you are out in the mountains, it is difficult to get an alternative. 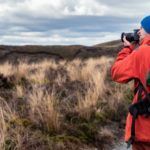 The best dog harness for hiking is undeniably one that can withstand the vagaries of nature as well as the strength your dog uses. Therefore, the relative durability will also change depending on the type of canine companion you have. It is always better to opt for tried and tested versions. That way you can be more assured about the safety and reliability of the harness that you are buying. You already understand that you have to opt for a sturdy material. But remember that your dog needs to wear it for a long period. So if the quality of the cloth is not up to the mark, it can be very uncomfortable. 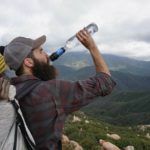 This can also make your pet jittery and ruin the entire hiking experience for your entire team. So you need to choose wisely and carefully. Look for ones that are sturdy and well-built, but at the same time, don’t compromise on comfort. We all want a little extra. So it goes without saying even the best dog harness for hiking needs to pack in that extra bit to make the mark. The ones that I chose for my favorite companion on hiking trips have pockets for carrying important gear. The oversized handle allows me to cope with the dog’s pace a lot easier. Moreover, in the cold weather, this gear pocket is rather handy. So decide the stuff you need to carry and then look for additional features accordingly. 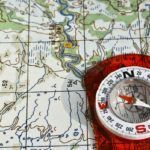 This will give you better clarity and also provide a direction in terms of how you must choose. 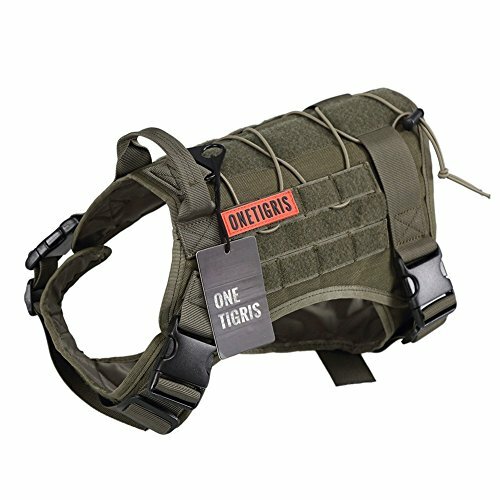 Remember, different hiking trips need different types of hiking gear including the dog harness. 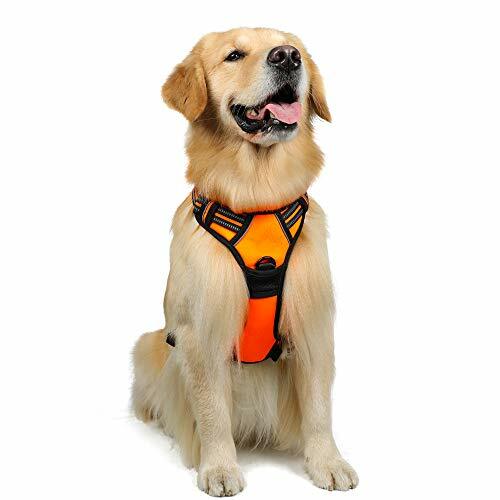 If you are not sure about how to get the best dog harness for hiking, simply go through this ready list of options. 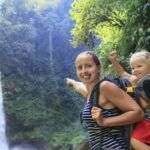 This gives you a ready understanding of what makes for a good harness and how you can decide on what’s best for you. You have to take into account a variety of factors and then match that with the features and the dog breed that you have. However, don’t forget to match your budget too. As you can see in our list, there are options in every price range. The choice is yours.